DA,PA,TF,CF links are of great value Backlink if you are looking to rank a website safely. I will place your URL on our there private blog network sites with relevant article and relevant picture . 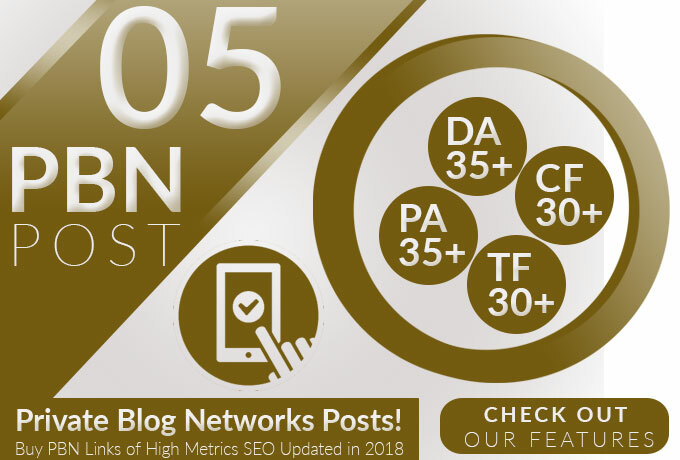 Do 5 PBN Post on PA 30+ websites is ranked 5 out of 5. Based on 48 user reviews.